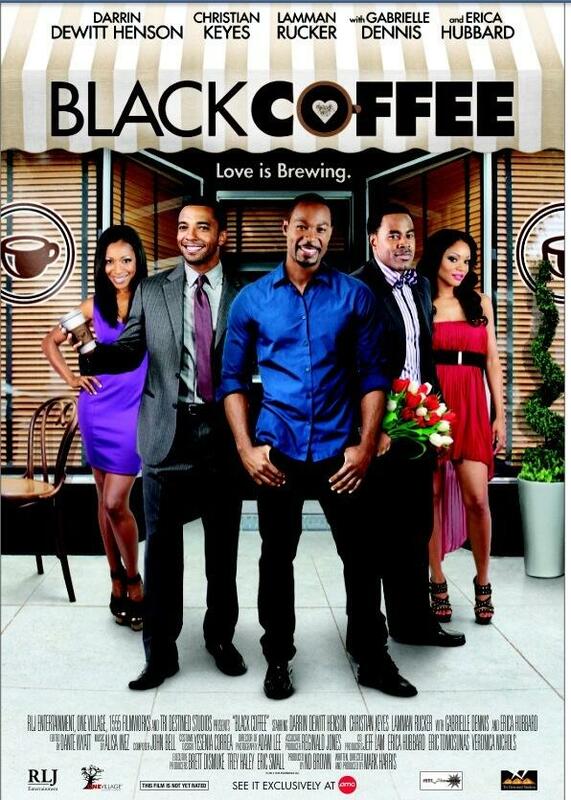 Image Entertainment has provided Blackfilm.com with an exclusive look at the trailer to “BLACK COFFEE,” which stars Darrin Dewitt Henson, Lamman Rucker, Erica Hubbard, Gabrielle Dennis and Christian Keyes. Directed by Mark Harris, produced by N.D. Brown and Harris, the film will have a limited theatrical release on January 10 in Atlanta, Baltimore, Chicago and Washington D.C.
“Black Coffee” is a story about Robert (Darrin Henson) who believes his world is crushed after he’s fired from a company that his father built from the ground up. But, oftentimes, people come into your life and plant the seed of purpose and this is what Robert found in Morgan (Gabrielle Dennis). But, Morgan’s ex husband: Hill (Lamman Rucker) Robert’s girlfriend Mita (Erica Hubbard) are both still in the picture which could mean it wasn’t the right timing for Robert and Morgan to be be romantically linked. 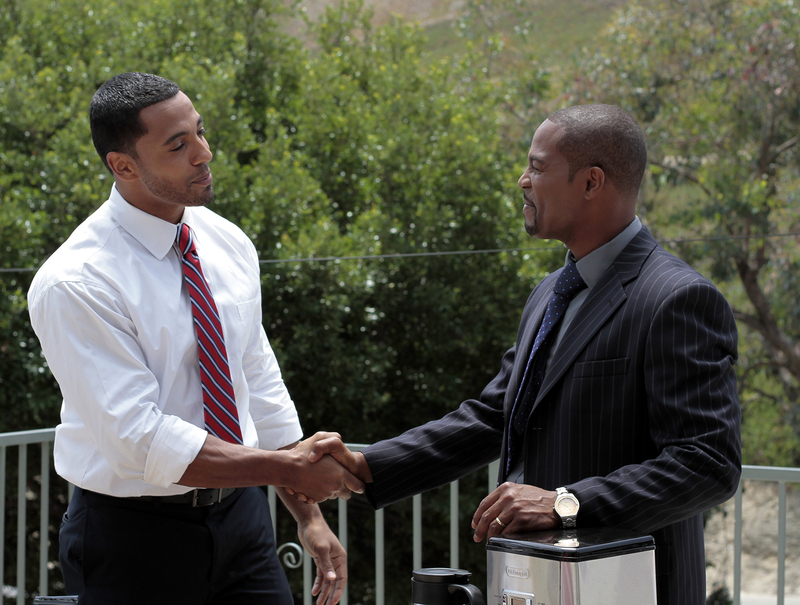 Julian (Christian Keyes) the comedic relief in the film attempts to help Robert make the most logical decision, but, know that sometimes people come into your life for particular reason and with Morgan it was probably to encourage Robert to jump out on faith, find his purpose in life and start building his own business. This is a great film about discovering your purpose in life. A film about when you’re faced with a life transition, look deep within yourself to find what makes you passionate. Is it your career? Your family or children? By identifying your purpose in life and the things that fulfill you, it will be easier to move past major stressful situations and have confidence in knowing you can and will move forward. When Robert found his purpose in his he discovered he found happiness.